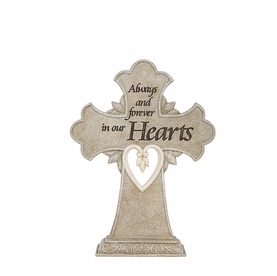 When words are hard to find, express your sympathy with the memorial angel, Remembering A Heart. 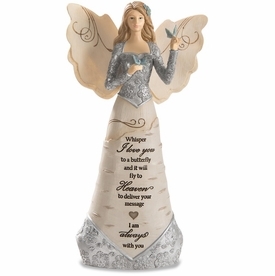 Our handpainted angel features floral details on both the front and the back. 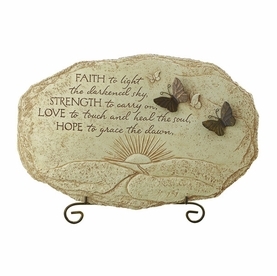 Crafted of resin with a vintage wood-look appearance, the text holds a comforting message for the bereaved. 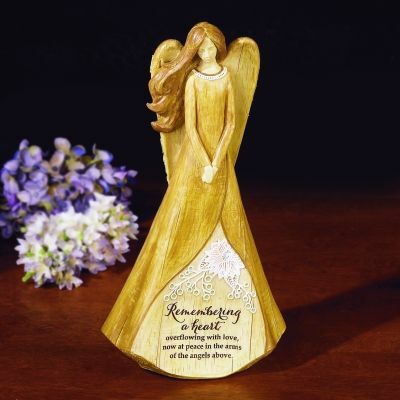 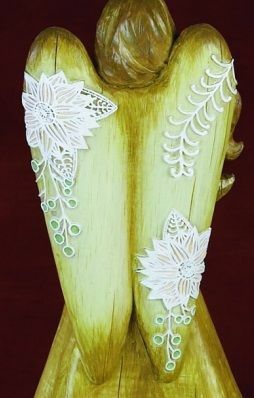 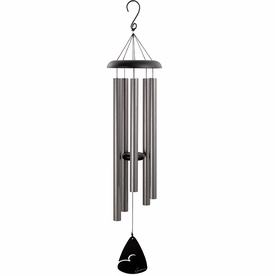 Sympathy angel serves as a beautiful and comforting keepsake.